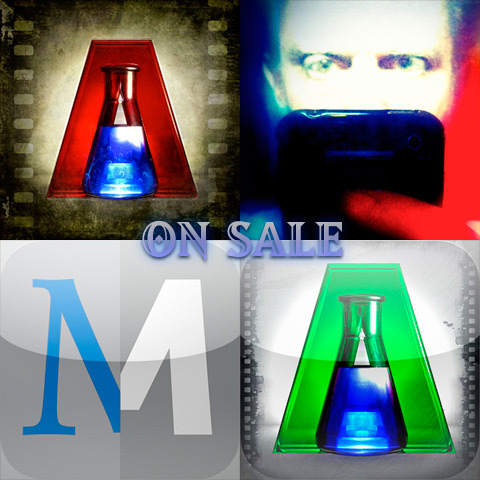 Marcolina Design announced the Summer Solstice Sale: all their educational interactive apps on iPhoneography will be available for three days in the App Store at the special price of $.99, an offer ranging from 85% to 66% off. AppAlchemy for iPad (full price $6.99) – Overview of 40 photo editing apps, divided in categories, with tutorials, formulas and examples. iPad edition. AppAlchemy Pocket for iPhone (in-app purchase full price $3.99) – Overview of 28 essential apps with tutorials, formulas and examples. iPhone edition. iObsessed Companion (full price $2.99) – Interactive book with sample images and instructions to make the most of your iDevice’s image editing potential. For iPad. Mobile Masters (full price $2.99) – Exploring the works and techniques of 50 iPhoneographers from around the world. For iPad. All the apps come with in-depth information and are a way to discover and learn about new tools aimed at refining mobile photography and editing skills. The Summer Solstice Sale will start on June 21 (Friday) and end on June 23 (Sunday).